There has been no attempt so far to design a comprehensive tax policy for medium and small enterprises, which would take all direct and indirect taxes into account and provide a clear, low-compliance-cost, fair policy option. 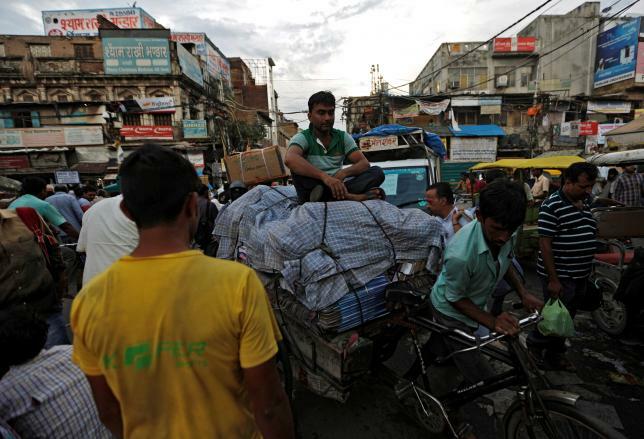 With the passage of the Constitution (122nd Amendment) Bill, known popularly as “the Goods and Services Tax (GST) bill” in the Rajya Sabha, the ball is now firmly back in the GST Council’s court. The states have clearly reposed their faith in this body to design a states-friendly GST regime and to decide on the key issues of the rate, the administration of the Inter-State GST, and the registration threshold. A decision on the registration threshold is critical for micro and small business enterprises (MSEs); a low threshold will mean many millions of these tiny and small businesses will have to register for GST and be forced to comply with its onerous requirements. States are already talking about a low threshold of Rs. 10 lakh of annual sales turnover as a registration threshold. I would like to humbly suggest that this is the time to come up with a comprehensive tax regime for small businesses, to really make ‘Make-in-India’ a success. What we have had in the name of “tax policy design” for MSEs are disjointed, haphazard, non-coordinated initiatives taken by different tax agencies for different tax instruments. Given that none of the tax agencies (central or state) talked to each other in the past, there has obviously not been any attempt to design a comprehensive tax policy for MSEs, which would take all direct and indirect taxes into account and provide a clear, low-compliance-cost, fair policy option. I believe we have an opportunity now in the context of designing a GST regime to bring the MSE taxation issue to the fore. This is a time when states and the central government are actively discussing these issues amongst each other in the GST Council. So, we have a forum, we have an engaged group of policy makers, we really have a chance to make it happen. My recommendation for a tax regime for MSEs is the following: the GST threshold be fixed at a high Rs. 1 crore, with a provision for voluntary registration for smaller businesses; a presumptive income tax scheme (continue with section 44AD but bring the ceiling limit back to Rs. 1 crore in line with the GST threshold); allow this presumptive taxation only for those taxpayers who are not registered for GST; and, introduce a flat fee in the nature of a “business permit” of Rs. 10,000 a year for businesses with a turnover between Rs. 25 lakh to Rs. 1 crore to be collected by state governments. This is based on three considerations: tax revenues, compliance costs, and corruption. This data is taken from the Report on the Revenue Neutral Rate and Structure of Rates for the Goods and Services Tax, 2015, Ministry of Finance, Government of India, Annex 3 (RNR report). It is fair to assume, as has been done in the RNR report, that this would be the GST taxpayer universe. As we can see from the table, the vast majority of potential GST revenue would come from the top two brackets, i.e., ‘above Rs. 100 crore’ and ‘between Rs. 10 crore and Rs. 100 crore’. These two brackets have only 2.2 percent of taxpayers, but would potentially contribute over 80 percent of tax revenues. The distribution is highly skewed. In this table, the number of small businesses with turnovers below Rs. 1 crore is 8,111,026, which is as much as 86 percent of all potential taxpayers, however, their total turnover amounts to just 3.4 percent, which is also likely to be their share in GST tax revenue. My suggestion is to set the GST turnover threshold at Rs. 1 crore, thereby ensuring a large number of small businesses don’t have to face the daunting task of complying with the GST. The option to voluntarily register for the GST will of course be available to those firms who would like to do so to be able to claim credit for input taxes they may have paid on their purchases. Why does Rs. 1 crore make sense? I am looking to evolve a comprehensive SME tax strategy which aligns the definitions across various tax instruments and agencies. Remember that the threshold for requiring a business to have their accounts audited by a chartered accountant under the income tax act (section 44AB) is also Rs. 1 crore. This limit which used to be Rs. 40 lakh was increased to Rs. 1 crore from the year 2012 in recognition of the fact that the size of a “small business” had become larger due to inflation and overall economic development and firms with turnovers below Rs. 1 crore were in effect small businesses. In the same year 2012, the limit for availing the benefit of presumptive taxation under section 44AD was also raised to Rs. 1 crore. Subsequently, that limit (for section 44AD) was raised to Rs. 2 crore in 2015! If in respect of the income tax, a firm can be considered to be an SME even up to a turnover of Rs. 2 crore, how is it that for the VAT/GST we should view firms with turnovers above a paltry Rs. 10 lakh to be large enough to have the capacity to comply with a complex levy such as the GST? Note that most states today have what are called composition schemes in state VAT, where small businesses up to a turnover of usually Rs. 50 lakh can pay tax at the rate of 0.5% of the turnover. Now, the model GST law also proposes a similar option, for those firms with a turnover up to Rs. 1 crore. I am strongly opposed to this suggestion. In fact, this levy is simply not a VAT/GST, rather it is in the nature of a turnover based direct income tax. One questions likely to be raised is– what will happen to all the SMEs under the turnover of Rs. 1 crore? Will they slip out of the tax net and become informal? Several states are likely to raise this issue, concerned as they are with losing out on the number of taxpayers. It is to address this concern that I suggest a flat fee to be charged from all businesses with a turnover between Rs. 25 lakh and Rs. 1 crore. This flat fee could be decided by the states individually but I would recommend a moderate amount, say Rs. 10,000, which is what was implemented in Bihar (although they still called it a tax) under the Laghu Kardata Yojana, 2010. I am implicitly assuming that all enterprises below a turnover of Rs. 25 lakh are micro. This is justified in two ways. First, under the income tax the threshold limit is now Rs. 250,000. If we assume that on average the net income of businesses is about ten percent of turnover then firms with turnovers below Rs. 25 lakh will have a net income below the income tax threshold. Second, if we go by the definition of the Ministry of MSME, and assume a return of 10 percent on investment, then micro enterprises with an investment below Rs. 25 lakh will have an income below Rs. 250,000 which is again lower than the income tax threshold limit. The second consideration is the issue of compliance costs. It is known worldwide that a value added tax like the GST is disproportionately burdensome for MSEs. Various compliance cost surveys undertaken by the World Bank Group, from Bihar to Colombia to Ukraine, indicate that compliance costs for small businesses can be extremely high, sometimes even more than the amount of taxes they pay. For example, in Bihar the survey found that the cost of compliance with the VAT was as high at 3.5 percent of sales turnover for firms with turnovers below Rs. 50 lakh. This compares with negligible costs, less than 0.5 percent of turnover, for large firms. The reason is simple; there are many cost elements in the compliance cost set which don’t vary proportionately with size of firms – salary of accountants, fees of tax lawyers, bank fees on financial services, etc. Now, the entire GST compliance framework is planned to be IT based, and many of the small businesses may not be computer proficient causing further compliance problems. There is an urgent need to design a simple, capacity-appropriate tax regime for MSEs. Finally, there is the question of corruption. Having a huge number of registered small firms on the roster who are finding it difficult to comply is a recipe for building a corruption-prone regime which only serves to perpetuate the “inspector raj” culture. On the other hand, selling a business permit with a fixed, simple, flat fee, is easy to administer and comply with and it provides businesses a legitimate right to carry on business and ensures they don’t have to operate in the shadows. On August 15, 2014 at the Red Fort in New Delhi, Prime Minister Narendra Modi addressed the nation, and the world, in his maiden Independence Day speech; “Come, make in India” he said. “‘Come, make in India”, “Come, manufacture in India”. In September 2014 the scheme was formally launched and is one of the flagship programs of the government. In India, however, where it is the millions of micro and small enterprises (MSEs) which form the backbone of the economy, Make in India can only be fully successful when MSEs can operate successfully. It is imperative to create an MSE-friendly business environment, and that includes a simplified, easy to comply with tax regime which does not impose huge deadweight compliance costs that cripple the productive capacity of these small but vibrant enterprises. 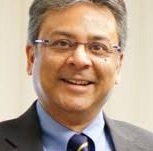 Rajul Awasthi leads the tax policy and revenue administration work stream for the Europe and Central Asia region of the World Bank. Views expressed here are personal.